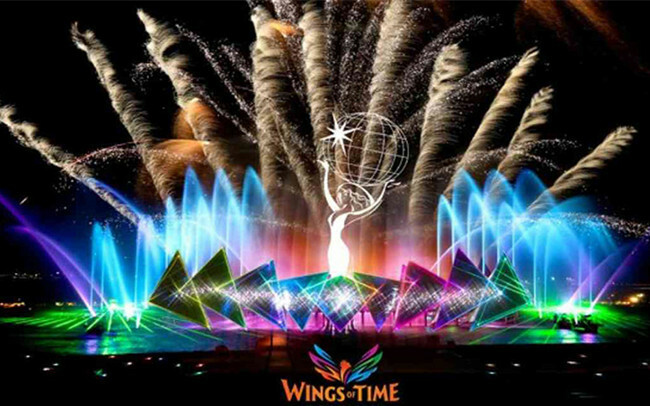 Spanning several exotic vistas and across the fabric of time, Wings Of Time is a multi-sensory extravaganza that tells an epic tale of courage, mystery and magic brought to you an internationally acclaimed team. 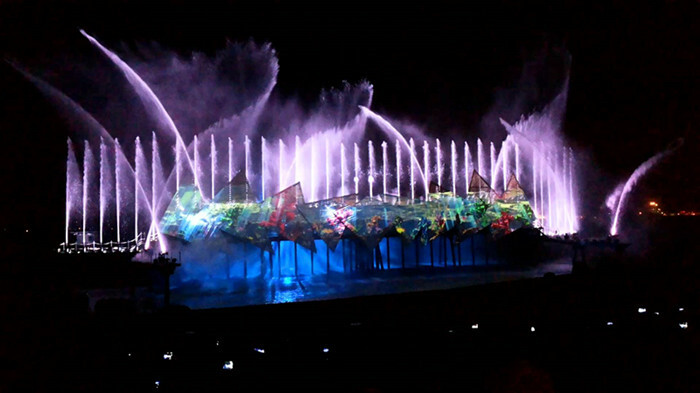 The first of its kind, Wings of Time is the only permanent night show in the world set in the open sea. 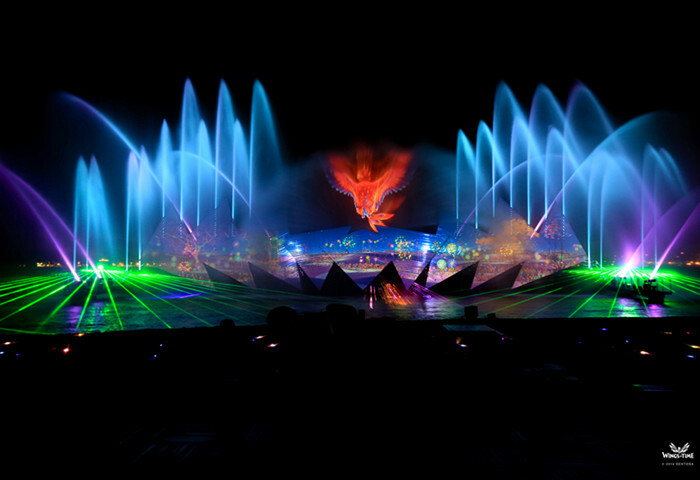 Set against a signature backdrop and a larger-than-life water screen, audiences can look forward to a contemporary storyline weaved together with an epic experiential fusion of the latest multimedia effects, including 3D projection mapping, state-of-the-art lasers, robotic water fountains and giant water jets, pyrotechnics. Created and produced by a team of local and international entertainment experts, Wings of Time is a night extravaganza of majestic proportions that is bound to captivate and wow every guest. hi, is this an open ticket? any dates? must go place in sentosa!! 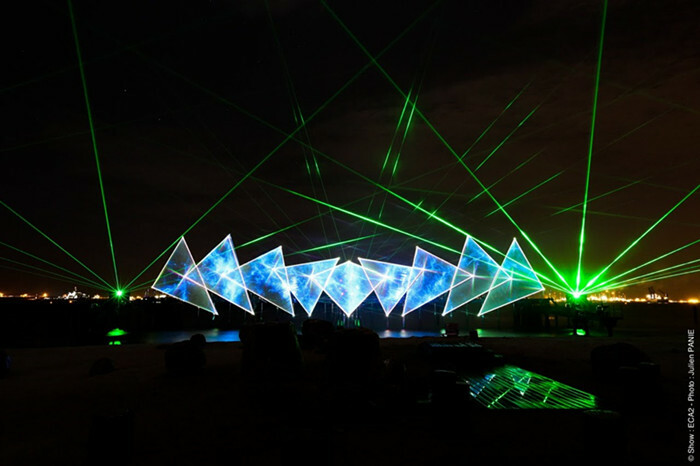 Fantastic show with lazers, in sync with beautiful music. A must go if you come to sentosa! what a beautiful sight to see and hold! Thanks weekendgowhere, got my tickets and off to see my show! 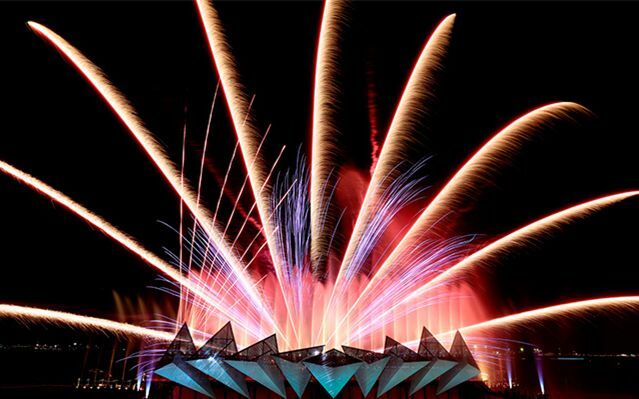 This is a 3D show outdoor, combining light show projected to a sail shaped surface and water vapor with pyrotechnics, amazing pyrotechnics, water blast, and sound. Always take the center spot, perfect view always! It's a really great show, just make sure you'll sit at the center row to have a better view and experience. Do use comfortable shoes, for it might be slippery since the show involve some water splash. One more thing, I love how the staffs manage the crowd, I have to say they are well-trained. Beautiful lights, my kids absolutely love it! Please exchange for physical tickets at the ticketing counter available at the entrance half an hour before the show. The tickets (PDF files) are valid only on the date and time specified on the tickets. No amendments and refund of tickets are allowed after payment. Child tickets are valid for children aged 3 to 12 years old only. Free admission is allowed for children under 3 years old. Operates during the 7.40 PM and 8.40 PM session only. Alight at HarbourFront MRT station and follow the signs to the Sentosa Boardwalk. Take a leisurely stroll from VivoCity’s water promenade – made easy by the sheltered travelators featuring five gardens themed tropical landscapes. Hop on board the Sentosa Express at Waterfront Station and alight at Beach Station, or get around with The Sentosa Bus 1, 2 & 3 and alight at Beach Station Stop. Take the Sentosa Express from Sentosa Station at VivoCity Level 3, Lobby L and alight at Beach Station. Admission charges are applicable to each taxi or car entering Sentosa regardless of the number of passengers. Admission charges vary according to the time of entry. 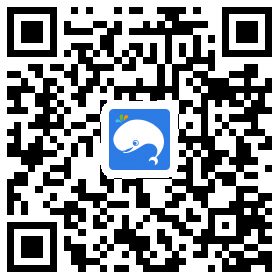 CAR: Park your car at Beach Station Car Park and take a 5-minutes walk to Siloso Beach, Wings of Time Theatre. Alight at Sentosa, take the Sentosa Express from Imbiah Station to Beach Station and head down to Siloso Beach, Wings of Time Theatre.